Website security remains as essential as ever. Hackers keep getting smarter and more resourceful, which means that you need to match their efforts when it comes to protecting your websites and online storefronts. 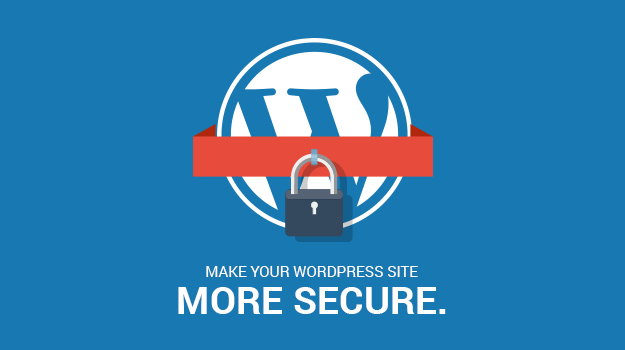 WordPress users have a major advantage of being able to reap the rewards of hundreds of people creating innovative plugins to boost security. Here is a list of the best security plugins for WordPress that you can get in today’s day and age. Being one of the most well-known security programs on WordPress makes a plugin a big target for hackers. Despite that, Wordfence remains one of the best security plugins you can get in 2018. The plugin offers a live traffic view which allows you to check out who is visiting your website in real time. This gives you a chance to take notice of potential hackers while they are in the midst of tampering with your website, giving you ample time to respond. Wordfence is also terrific if you want to install two-factor authentication for your website, which is a security must in this day and age. This free plugin offers a number of different security features, including Security Activity Audit Logging, which allows you to keep a comprehensive log of all the activity associated with your website. This means that even a hacking attempt won’t be able to destroy your saved information. Sucuri offers one of the best and most comprehensive malware scans in the business, allowing you to block both known and relatively unknown malicious software. iThemes Security has been one of the more popular security plugins for WordPress since the initial iThemes releases in 2008. The plugin offers a fast scanning service that takes mere seconds to completely look over your website and report back any issues to you. It also identifies potential bots and other malicious users, banning them so they don’t cause any trouble. This plugin is easily updatable and allows you to automatically schedule its functions, making your life easier. If you are worried about brute force hacking attacks, the All-in-One WP Security & Firewall plugin gives you a nearly impenetrable barrier that prevents those attacks from hitting home. The plugin measures the current security features on your website and provides you with feedback as to how you can improve. It also strengthens your firewall to prevent direct attacks from hackers. Many people worry that by taking too hard a line in their website security they might wind up accidentally blocking legitimate users. WP fail2ban provides you with the tools needed to make sure that this doesn’t happen while also ensuring that your website remains safe and secure. The program creates hard and soft blocks, making sure that clear dangers don’t get access to your site while keeping an eye on those who might be risks but also might be potential customers for your online storefront. BulletProof is possibly the easiest to install of these security plugins for WordPress, as it has a very simple one-click installer that gets everything set up for you immediately. From there, the plugin is very effective and easy to use. It protects against more than 100,000 kinds of known attacks, provides firewall security and protection, and monitors login attempts on your website. It also provides protection against brute force attacks, making it very difficult for unwanted parties to gain access to your site. It’s hard to run something in WordPress without hearing the name Jetpack, and that’s because the plugin has so many different functions. One of those functions happens to be security. Jetpack can monitor your site and protect against brute force attacks, filter out spam comments, and notify you of suspicious activity as it happens. Because many WordPress users already take advantage of Jetpack’s site speed and social media tools, they also choose to use the security features available with the plugin. If you’re looking for something that is familiar and simple to use, Jetpack is the tool for you. There’s nothing wrong with going all out when it comes to protecting your website from malicious activity. Any good security plugin guards against brute force attacks provide two-factor authentication and monitor unusual traffic and login activities for potential threats. By using any of the plugins listed above, you will give yourself the best tools available to make sure that hackers fail with any attempt at meddling with your website.